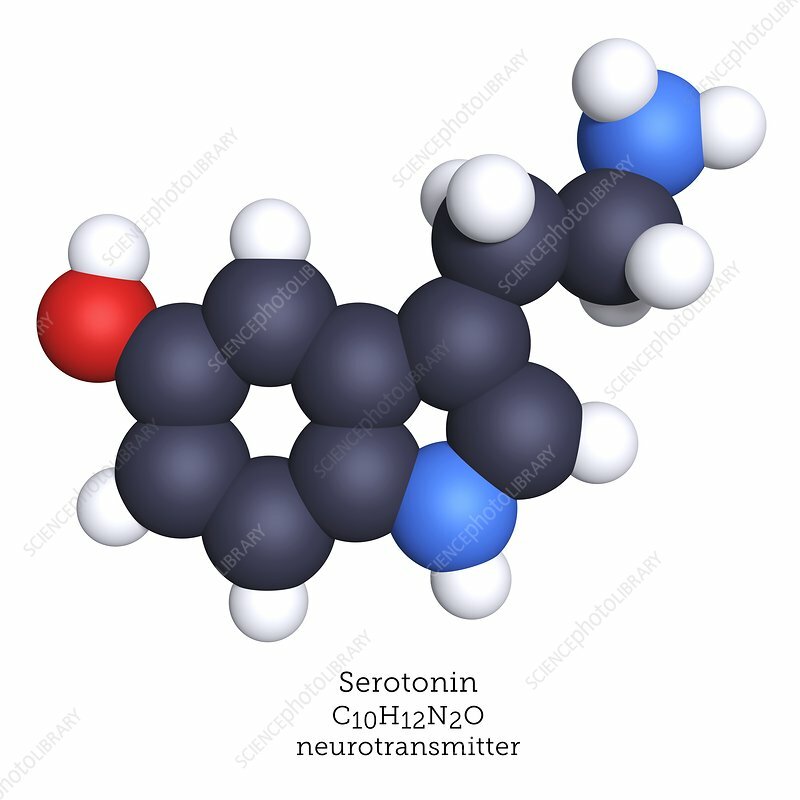 Serotonin is a neurotransmitter found primarily in gastrointestinal tract. Serotonin modulates a range of functions associated with eating, sleeping and digestion. Serotonin is popularly thought to contribute to well-being and happiness. Atoms are represented as spheres and are colour-coded: carbon (black), hydrogen (white), nitrogen (blue) and oxygen (red).